We had our Christian Unity meeting for January this evening, at our usual location Bill Miller’s B-B-Q. Attendance was very good, we pretty much filled our area of the restaurant. 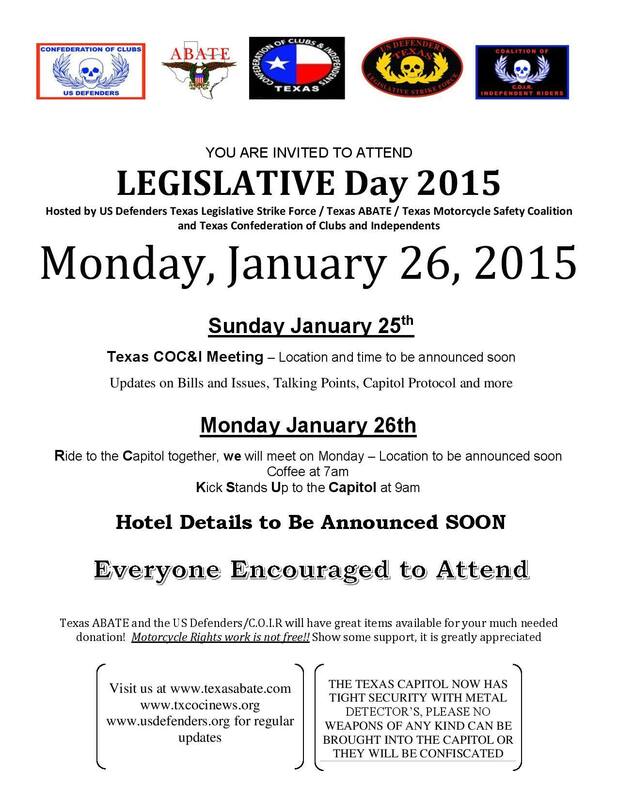 The discussion mostly revolved around Legislative Day, January 26th, and the pre-meeting at Bikini’s on the 25th. We will be serving coffee and donuts at the starting point which is the Statesman parking lot on congress at first street. We will be starting a little later this year, heading out at about 10:45am up Congress to the Capital. Should be an exciting day!